To the surprise of no one and the disappointment of many, Costa Mesa Planning Commissioner Steve Mensinger was appointed to the seat vacated by Katrina Foley last month. In a process that took two hours and saw 49 speakers stand to support one candidate or another - including one mother and two wives - when it came time to decide who would have the chance to make the first nomination the luck of the draw saw Mayor Pro Tem Jim Righeimer pull #1out of the bag. He promptly nominated his pal and former business associate, Mensinger, who was elected on a 3-1 vote, with WendyLeece voting no. This was probably the most interesting selection process I've observed. 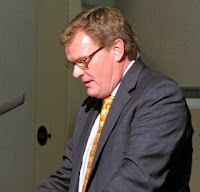 Half of the people who stood before the four members of the council charged with selecting a peer from the pool of eight candidates were in favor of Chris McEvoy. As you will recall, McEvoy finished a strong third in the November 2nd election, with nearly 11,000 votes - 26% of the votes cast. Many of those speaking in favor of his candidacy did so with much passion, recounting how he had impressed them during the campaign and that he was "one of them". McEvoy's mother stood to tell the council and the audience of the many wonderful qualities her son possesses - something many of us had figured out a couple years ago when he first ran for City Council. Those comments fell on deaf ears. McEvoy was the only applicant to stand and present reasons why he thought he was the best choice, acknowledging the need for a diversity of views on the council and that he didn't agree with any of them politically, but that he could certainly work with them. 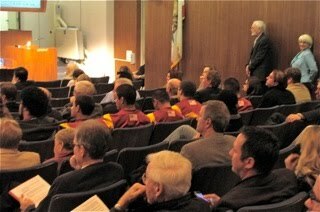 As the comment period moved on several speakers rose to support Mensinger, including members of the Estancia High School football team, who arrived wearing their game jerseys. Coaches and parents of players also praised Mensinger, as did his wife. She addressed his many qualities, but did acknowledge that he can be a handful to live with. Robert Murtha, Sr., father of star running back Robert Murtha who had spoken earlier, stood to heap more praise on Mensinger, stating unequivocally that he would have beaten Righeimer if he had chosen to run in the past election, then praised him for his leadership in youth football. During his little speech following his nomination of Mensinger, Righeimer went way, way beyond any border of appropriateness as he chided McEvoy's candidacy, indicating that, when compared to Mensinger, "he's not even close!" Righeimer went on and on, frequently stating, " I need him here..." referring to Mensinger. It became very clear that Righeimer thinks he is in charge on the dais, which should make for some very interesting meetings in the future. 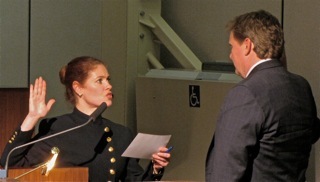 Mensinger, like a horse in the starting gate, was in such a hurry to address the council and audience that he almost didn't let City Clerk Julie Folcik swear him in - another one of those little nuisance formalities that he's going to probably try to stiff arm as we move forward - like the Brown Act. Mensinger thanked many people during his longish speech. Not that he actually expected to be appointed, but he did have a very lengthy speech prepared to help celebrate his 49th birthday Tuesday evening. He talked about his activities with youth sports in Costa Mesa and actually said he'd much rather be a coach than a council member. Now he tells us! He acknowledged the big influence on his life former Ambassador George L. Argyros has had. Mensinger worked for him for many years. He did make what turned out to be an interesting statement. He said, "We need to put politics aside and solve problems." As the evening wore on it was clear that his pals on the dais forgot about that "putting politics aside" part... more on that in a minute. NOW IT'S LEECE AGAINST THE GUYS So, we now have a City Council of four kindred spirits - Eric Bever, Gary Monahan, Jim Righeimer and Steve Mensinger - and Wendy Leece. Unfortunately for Leece, she is almost certainly going to find herself on the short side of many 4-1 votes. The votes last night certainly demonstrated that division. Before moving on to the commission appointments, let me observe that there will be a budget study session next Tuesday, the 11th, at which time the council will be brought up to speed on the precise condition of our city's finances. Finance gadfly Judi Berry spoke during public comments and trotted out some graphs that she says showed that the city had burned through over $50 million in cash over the past three years. Righeimer picked up on this and made it clear that he was gearing up to do something about it. During his "Mensinger" speech he mentioned a couple times that "we need people up here who can say 'no'". Look out, public employee unions - he's coming after you. The meeting moved on to the appointment of Planning and Parks and Recreation Commissioners. Both had rosters of excellent candidates, including some incumbents and some highly-qualified newcomers. Four Planning Commissioners were selected - three four-year positions and one two-year slot to fill Mensinger's unexpired term. Three Parks and Recreation Commissioners were selected. Eric Bever nominated paralegal Robert Dickson, a frequent commenter on these pages and in the Daily Pilot blog in the past. 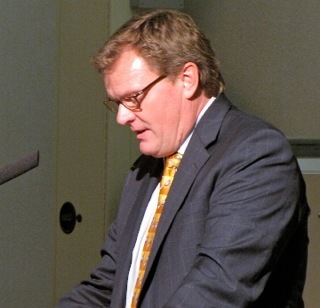 He was seconded by Mayor Gary Monahan and chosen to fill one of the 4-year slots, 5-0. Then, curiously, Mensinger nominated current Planning Commission Vice Chair Sam Clark for the 2-year slot, which was seconded by Leece. He was also appointed on a 5-0 vote, but this certainly represents a backhand to Clark, who had every right to expect to be appointed to his own 4-year term. Monahan then nominated incumbent Jim Fitzpatrick, who was seconded by Mensinger. No surprise there - Fitzpatrick has been attached to Mensinger's hip like a barnacle for the past couple years. Leece asked City Attorney Kimberly Hall Barlow whether a decision had been reached about Fitzpatrick's eligibility to serve both on the Planning Commission AND the Sanitary District Board to which he was just elected in November. She hemmed and hawed and said she wasn't the person to make that decision, but that the Attorney General might be. She did say that if his positions were challenged and it was determined that he could not serve on both, then he would have to give up the position he held before accepting the most recent one - in this case, that meant he would have to give up the Sanitary Board seat. 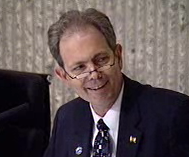 Monahan leaped to his defense and Fitzpatrick was re-appointed to a 4-year term on a 4-1 vote. 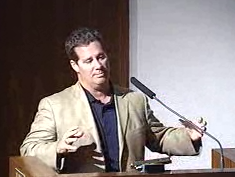 Leece then nominated Parks and Recreation Commissioner and GOP activist Jeff Mathews but, curiously, received no second. Righeimer then nominated Edward Salcedo, who was appointed to the remaining 4-year term, 4-1 - Leece voting no. The new Planning Commission will be incumbents Colin McCarthy, Fitzpatrick, Clark(briefly) and newcomers Dickson and Salcedo. Then came the nominations for the Parks and Recreation Commission. No incumbent whose term was up was returned to the commission! Leece nominated incumbent Terry Shaw, but received no second. Monahan nominated newcomer Dan Vozenilek, who was appointed 5-0. Mensinger nominated newcomer Dean Abernathy, who was appointed 4-1, with Leece voting no. Bever nominated Gary Peacock but received no second. Finally, to nobody's surprise, Righeimer nominated his campaign aide, Ethan Temianka, who was appointed with a 4-1 vote - Leece voting no. Vozenilek, Abernathy and Temianka will join Mathews and Kim Pederson on the commission. 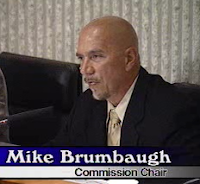 That means that former chairmen of the commission Mike Brumbaugh and Kurt Galitski join Shaw without a seat on the commission. So much for setting politics aside. It sure looks to me like the big Righeimer broom is sweeping aside anyone who might oppose his initiatives in the future. I almost forgot... Gary Monahan's initiative to change the agenda for council meetings passe d with only superficial discussion. The closed sessions will be held at the end of the meetings instead of before. There will be a new "Announcements" section immediately following the roll call. Council member comments will also be moved to the end, just before the reports by the City Attorney and City Manager and the 5:30 pre-meeting (where they used to be served a meal and discuss the agenda before the regular meeting) has been abandoned. They lost those meals due to budget considerations over a year ago. It's going to take a little time to digest the results of these appointments. It seems clear that Righeimer is moving to strengthen his position now that he's finally actually won an election. I suspect we're going to see immediate initiatives to take drastic measures with city finances some of which will almost certainly result in departures of senior city staffers in the near future. The specter of losing decades of experience seems not to bother this new batch of "leaders". I wouldn't be surprised to see moves made to outsource public safety to the county authorities in the near future. You may recall that the Costa Mesa Firefighters Association proposed to pay for a study of having the Orange County Fire Authority take over their jobs. No word has been heard about that since this past summer. 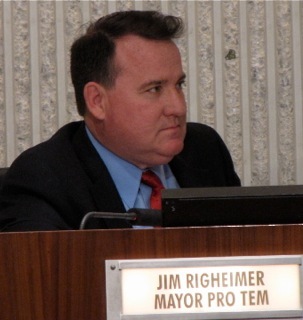 With the leadership vacuum in the Costa Mesa Police Department there seems to be an opportunity for Righeimer and his pals to shed themselves of having to worry about their adversaries on the CMPD. Also watch for a move to dump the A.B.L.E program in what will be presented as a cost-saving move. I'm afraid that we've managed to replace the now-departed Allan Mansoor with a much more dangerous political ideologue - Jim Righeimer. Mansoor was dangerous, but a dolt - unable to actually affect the changes he wanted. 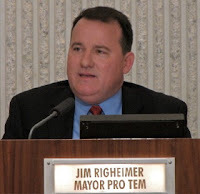 Righeimer is much more dangerous because he's a crafty guy with great political connections - unless Scott Baugh's leadership of the OC GOP is successfully challenged. It won't be long until Righeimer's true intentions are known. At that time there are going to be several thousand Costa Mesans kicking themselves for ever electing this guy. I am not really that involved with CM politics the way that most people who comment here are. However, I do try to keep informed and read it and other information for insight on the scene. While I hope you are wrong about Riggy and Mess, Geoff, I do fear the worst. But I do question why Katrina Foley has been getting a "free pass" through all this appointment mess. Seems to me, before running for school board, she should have resigned her council seat, this all could have been avoided and McEvoy would have been sworn in. But she chose to work things best for her personal benefits and play it both ways, and now the city suffers. "It won't be long until Righeimer's true intentions are known". But during Riggy's final rant when he took some stabs at some of the blogs and posters he did say that he "is not in this for political gain, I'm not going anywhere, non of us are" or something real close to that. Dont you believe him Geoff? I am willing to give Mensinger a chance, but everyone of McEvoys supporters saw the writing on the wall, that the three amigo's had their mind made up. I love how the Beav second the Mensinger nomination twice since the first was inaudible. I saw Yogi Bear, the parallels to the city of CM gov't is amazingly accurate. The way the mayor in the movie and his sidekick were made for a funny movie paradox for me and my wife. For a good spoof on CM politics, go see Yogi Bear. How about appointing someone to planning commission that can actually plan? They could have locked in Jeff Harlan, an urban planner and attorney by profession. Does our city seem so well planned that we don't need real professionals? Instead we get more cronyism. Its time to use these appointments professionally, as opposed to jump off points for city council. While I agree that McEvoy is a nice gentleman and very respectful to all parties I do not think that makes him anywhere near being the most qualified for the appointment. I also do not agree that because he was the first loser he should get the appointment. If there had been three seats open another conservative such as Righeimer would have run and those that pulled the lever for Righeimer would have voted for that person, making McEvoy 4th. Look at the current council, Monahan and Righeimer garnered the most votes from the people in their victories as did Mansoor before them. This city is split with the edge going to the conservatives. McEvoy picked up the liberal vote. As long as this city has the current split, and conservatives do not run too many candidates to split the vote, you will have the conservatives winning, albeit slightly. How does that translate into the first loser as the logical appointment? If the majority of the people wanted the first loser he/she would have won. Leece is amazing. After being a barnacle conservative running with Mansoor she runs as a favorite of the OCGOP, wins the early GOP absentee ballots, reverses course and gets the liberal poll day voters and squeaks in. Now she is a pouting obstructionist to the "boys" since she has now played the sexist card after playing the victim card earlier. Did you hear her mention she is the only woman up there? Is it the fault of the "boys" that they were born that way, ran for office, and were chosen by the people? Don't blame the "boys", blame the voters Wendy. The parallels are interesting because Bob Rizzo was hired, during a recession, because he was willing to work cheap for the city. In an environment where veteran city workers may be lost, its important to keep in mind you get what you pay for. Gary, that's an excellent point. They didn't pick the best and brightest of Costa Mesa. Harlan probably was the best planner. Tamianka, who I believe was Righeimer's campaign manager, was appointed over Shaw who has a million times more knowledge and experience. It's an utter disgrace to have the council disrespect our votes, pick Mensinger, then appoint under qualified applicants. Costa Mesa is not currently near bankruptcy. However, it soon will be with this crew. None come from fiscal conservative roots anymore than George W. was a fiscal conservative. The council majority ever since I can remember has been "republican" and they all have seemed to bust the budget. I wouldn't be surprised at all if Righeimer busts the budget on purpose to get out of employee contracts to receive the admiration of Scott Baugh who will probably help him get an assembly seat which as far as anyone can tell, is the reason he moved here. I say the new term for this era of the council is Costa Mesa Last. Why? Because political favors, outside special interests, and avoiding the most qualified candidates come first. No wonder Mensinger had that 'Foley For School Board' sign in his yard... this decision was made before the real election even went down in Nov., and anyone who doesn't believe that has their head in the sand. It's certainly going to be a wild ride, and I hope the Four Horsemen of the MesApocalypse prove me wrong. I fear that won't be the case, though. Max - thank you, you are very kind. it was somewhat surprising that all three of us "veterans" were discarded, but then again, not really in light of council discussion two years ago when they were making appointments then. we should known then our time was limited. could we have done more? hard to say. in any event, although my name was on campaign literature that promoted two of the people up there elected two years ago, i distanced myself from the "in" group this go around and backed Wendy, who has been a friend several years and whose career i have followed much longer. that was probably my big "sin". correction: that campaign literature of two years ago actually supported three of the persons on the dais now, although one didn't win then. Terry, I wouldn't read too much into the replacements on the Parks Commission. They really did the same on the Planning Commission with only giving Sam Clark 2 more years. I think it's a good thing. Commissions and Committees are great ways for citizens to get involved but this City needs new blood. The same people have been in these seats for years. It's time for some change! I'm disappointed Geoff, you missed the most important part of the meeting... Poop Bags. After what I saw Tuesday Night there should have been a rack of them in the back of the meeting hall; although they would have run out halfway through the meeting. Next, I still think that Monahan should have recused on the banner issue; he is known to be one of the city's foremost abusers. Then, one father stood up for Messiah-inger (the newly "Anointed One") and said he didn't like him at all at first then learned to respect him; that's cool. But then said he would have beat all who ran "even you Mr. Righeimer". And that is the point, Rig would have split vote Mess would have won and who knows then outcome then. Messiah-inger stood at microphone and gave his speech on why he is running for the office... wait he has already been sworn in. He said he didn't want the job but was "encouraged" to submit his name because he was "needed". He didn't want to take time away from his children, wife and football... OK, now which one of these is he going to give up? Now he will be dividing his time to 4 or is it 5... 6... 7 jobs? Which will suffer? 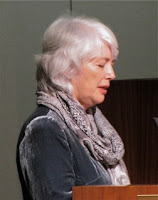 Last, I saw you (Geoff) stand up and applaud when Messiah-inger walked up to his seat on the dais... I need to know was that for him being appointed or that he had finally shut up? Good question about how Mensinger will manage his time. I don't think he's working much these days, so he may have the time. And, football season is over, so we might be able to hold his attention until next fall. You are most welcome and thanks for doing such a great job. Whew! Is This Year Finally Over? It's Elephant Seal Viewing Time Again!